i'm very new in this wig business and today i got my first full lace human hair wig. She has already been used and i bought her from ebay but that is not my problem. It's also not a problem that she has too much density (180 %), i will just thin her out (although i know that this will be a lot of work doing it in a acceptable way). 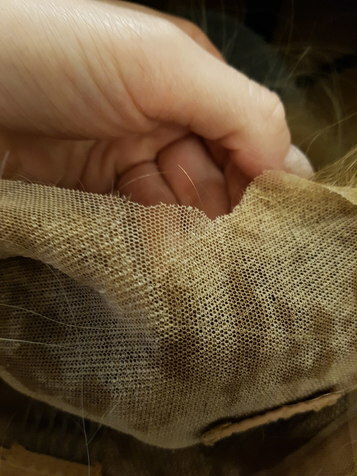 My bigger problem is that the lace front is a little bit "uneven" and the knots are... i don't know. Sticky? matted? Thats my question for you experienced guys. I`ve never seen this before in a wig video and i tried to find it out with Youtube but couldn't find anything this way. Or am I just inexperienced and that is a normal thing? 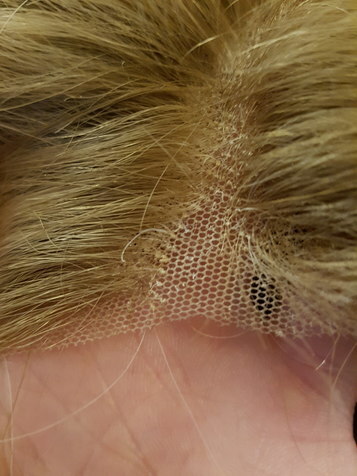 I started buying lace front monotop recently.I wear jon ranau.But I still feel like the lace front thins on mine in front then you can see it.Got an answer.These are costing me 300 to 400 pc.I have to wear one have had trich.Bet ive spent millions in my life.Insurance offers no help twc or wigs.com has no credit card.Gets rough. A wig will only last so long. How old is your wig, Diane? And what do you mean by "the lace front thins?" 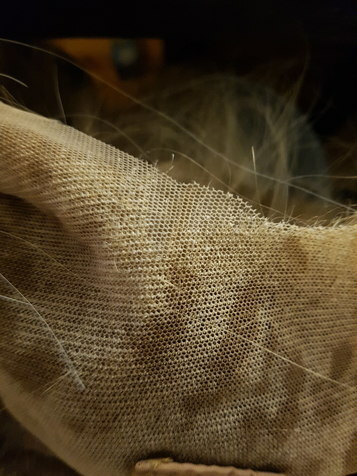 The actual lace gets thin? As you stated, the wig was used so there's definitely some wear. 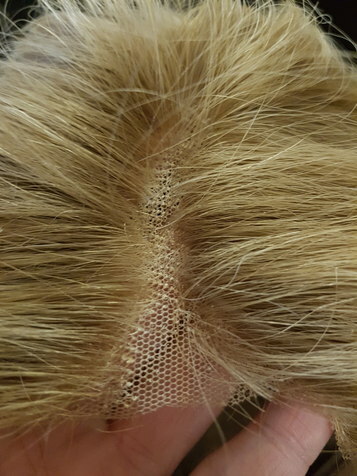 The underside of the lace looks discolored as though the original owner may have tried to bleach the knots. But--as far as those little pieces of "lint"--many wigs have that. You can apply flesh-colored powder to match your scalp or concealer on the underside. Personally, those knots don't bother me because if someone other than me can notice them, then they are wayyyyyyyyyyyyyyyy to close to my personal space! Could that be product buildup? Whadya Mean She's Not a Lace Front??? Lacey By Envy is Crazy Great! If a wig has bangs, does it need really a lace front?